Led by vocalist and songwriter Lukas Graham Forchhammer, Lukas Graham has solidified their status as the breakout act of 2016. Their hit single 7 Years, which they recently performed at the Billboard Music Awards, reached number one in 33 countries and has received over 425 million streams on Spotify. Now, the band is gearing up for the launch of their second single, Mama Said, which will head to radio later this month. 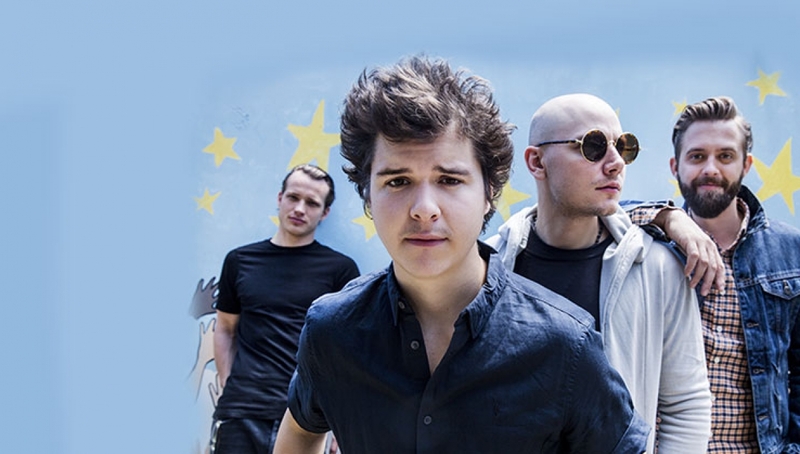 Lukas Graham’s self-titled debut album has received overwhelming critical acclaim since its release, debuting at number two in the UK and propelling the band further into the global spotlight. Hailing from Christiania, an autonomous, artistic community in the centre of Copenhagen, Lukas developed his natural talent for honest and gritty songwriting. Classically trained with the Copenhagen Boys’ Choir, with a musical scope widened by his Irish folk roots and passion for hip-hop, Lukas possesses a distinct, poetic ability to capture the full range of emotions in his music.